Provided below are 3 Front Yard and 3 Back Yard Landscape Projects. in your own home. The samples are not intended to provide an exact or fixed option for your Landscape Design. 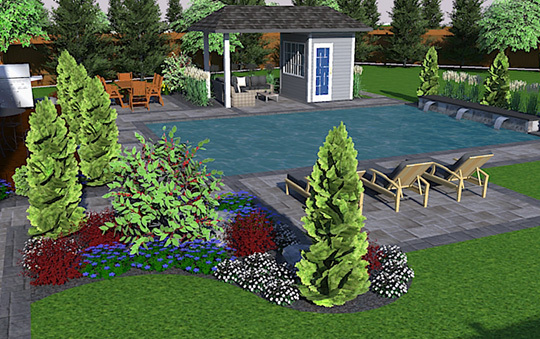 Each sample home has 3 Landscape Design options for lower, mid and high price ranges to assist you with understanding your own likes and wishes for your landscaping while being aware of your budget.